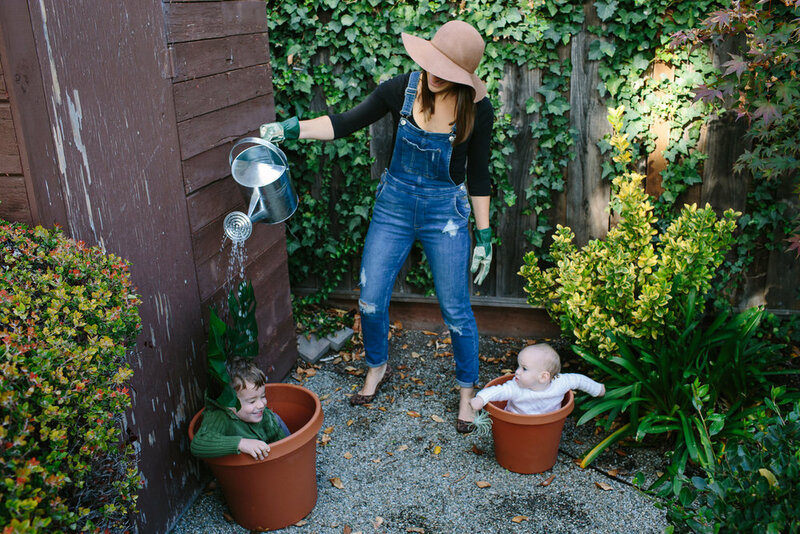 Here is just about the laziest Halloween costume I possibly could come up with: stick each kid in a pot, tape on some fake leaves, and start watering. Year One, I dressed him as Winston Churchill (an obvious choice when you've got a grumpy-faced 7 month old: "All babies look like me, and I look like all babies."). 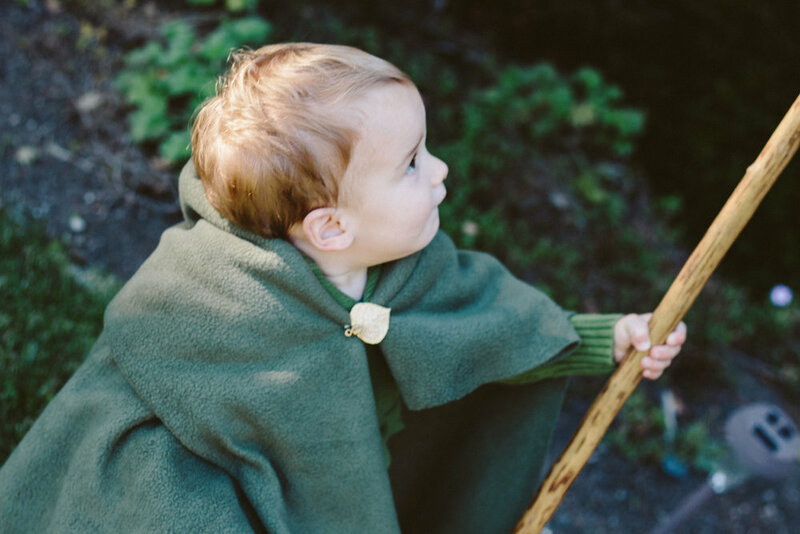 Year Two, I dressed him as a hobbit. Because, you know, his name is Sam(wise). 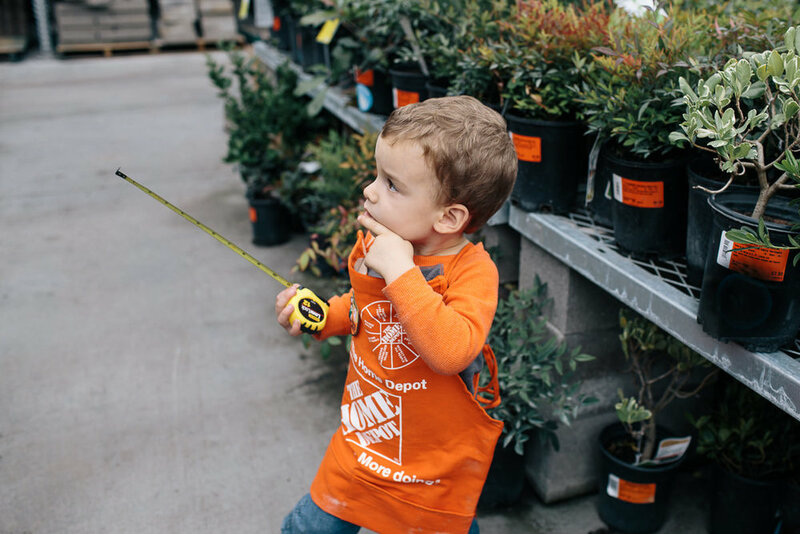 Year Three, he was a Home Depot store associate, springboarding off of his obsession with the brand and the place. Also a very lazy costume. Cue Year Four--the dreaded year, the year in which Sam would have enough autonomy and communication skills to decide on his own Halloween costume. During dinner last week, the subject came up. I asked him, cautiously, "So, what would you like to dress up as this year?" He slowly scanned the house, pondered at length, and finally said, "A PLANT." "A...plant?" "Yes! A plant." I guess this is the final proof that 1) Sam has very interesting taste in everything, and 2) I really do have too many houseplants. Anyway, a few fake monstera leaves and a couple of terra cotta pots later, we had our costumes. 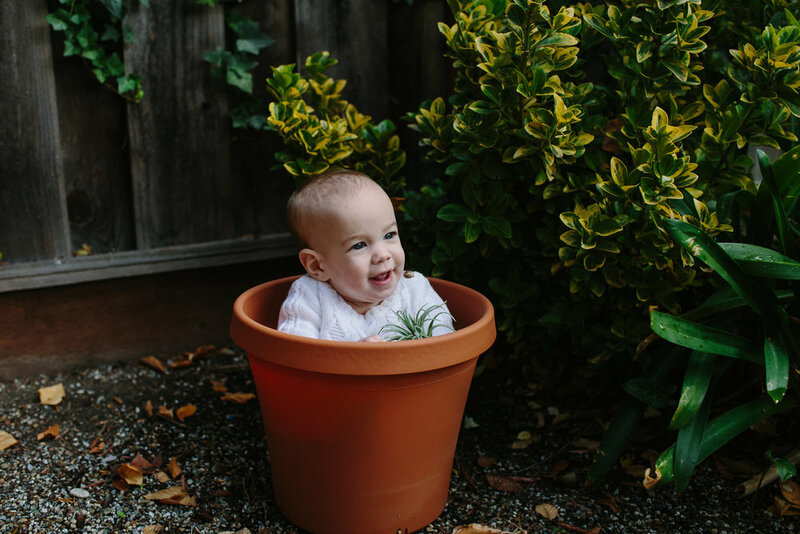 Annie is basically an Anne Geddes baby by nature, and I don't have to try too hard to be a crazy plant lady--I had been wearing the overalls all month long anyway. 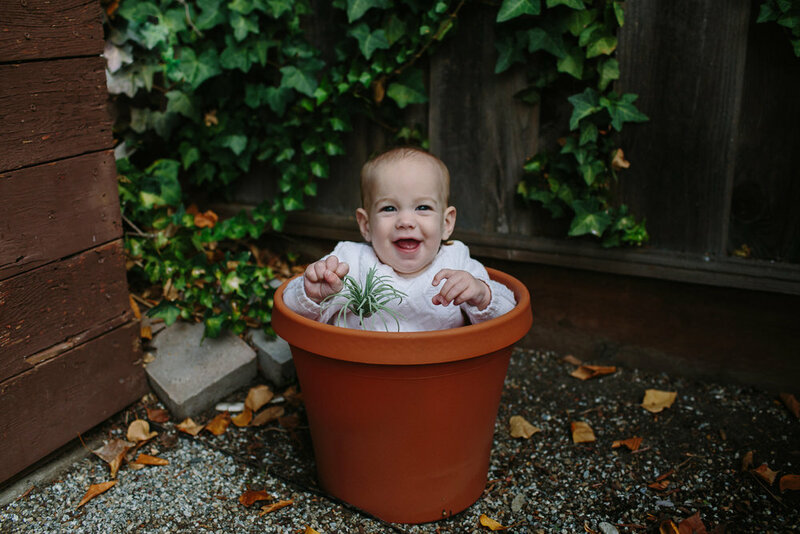 Sam capped off our backyard photoshoot with a request that I "really water him, with water" and my work for October 2017 was done.